Magic Gloves. 1 Dozen Pairs. Infant size perfect for very young children. Stretchable. 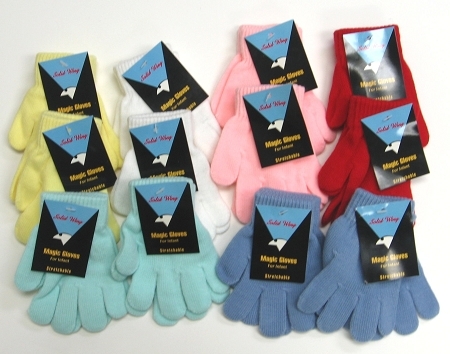 Assorted colors (2pairs each of white, red, pink, yellow, blue and teal). 95% acrylic, 5% spandex. Made in China.